We cover the choices for sleeper rookie of the year. 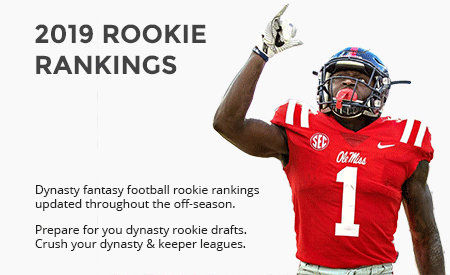 We continue the series with “Sleeper Rookie of the Year.” To qualify for this category, a rookie had to be chosen who is currently outside the top 24 in our rankings and ADP information. As expected, we received a wide variety of different choices. 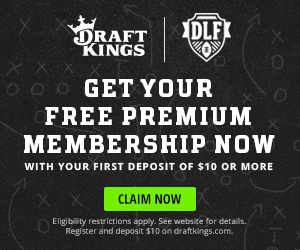 Can an undrafted, rookie free agent and one of the smallest running backs in the NFL surprise the fantasy football world? I believe the answer is yes in Bronco’s Phillip Lindsay. Very fast (ran a 4.38 at his Pro Day) and a natural receiver (117 catches in college), Lindsay has a all the athletic ability to be the lightning to starting running back Royce Freeman’s thunder. His early season usage may be a problem, but an injury or poor play from either Freeman or Booker could certainly lead to more carries and targets. 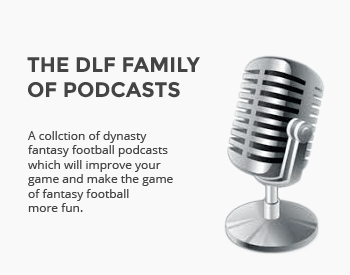 Lindsay is a low cost lottery ticket in dynasty that could pay dividends in the near future. Can I post a “Deep” Sleeper? Trey Quinn, WR WAS. Made for the slot. Paul Richardson may be better now, but we will see. Quinn produced, 114 catches for 1,236 yards and 13 touchdowns last year at SMU. Each number higher than Courtland Sutton. The man catches everything. Not high on the measureables, but he is just a good football player. Hope he sees the field this year. As Mr Irrelevant, and making the roster, that says something. I’m stashing him in my 14-team league. 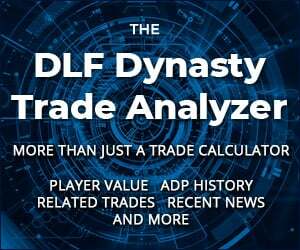 There is more here than his ADP, so he is a sleeper in my circle.